Services | Symbiont Science, Engineering and Construction, Inc. In our modern world, urban community development has fundamentally changed waterflow patterns. Impervious surfaces – roads, parking lots, commercial infrastructure – now, more than ever, need systems to carry rainwater to waterways. In fact, there are around one million miles of water pipeline and aqueducts in the U.S. and Canada, enough to circle the globe 40 times. The buildings we see all around us have been made possible by technologically-sound structural design. Making sure structures can endure the forces and loads of the terrain, from strong winds to heavy snow, is our business. 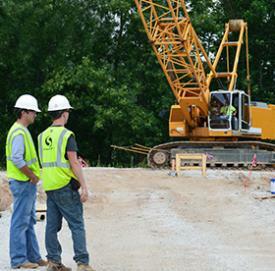 Through creativity and problem-solving, we help meet the challenges of construction. We partner structural design and construction services, offering flexible options to bring buildings to life. With building safety and sustainability our focus, we’ve helped business owners and municipalities build solutions through expedited design-build delivery schedules. We’re proud to be working hand in hand with our clients, building North America structure by structure. Is your facility operating at peak performance? Symbiont’s process automation and system integration experts design, modify, and upgrade systems that provide you with complete control of your processes. 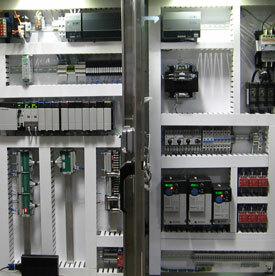 With your system at your fingertips, your facility operations will be crystal clear. If you need to maintain or replace existing systems, renovate, upgrade, expand, or implement new production capabilities, Symbiont will establish the right engineering solution with minimal disruption to daily operations and production. If your city is in need to restore abandoned, idle, under-used facilities where expansion or redevelopment is complicated by real or perceived environmental contamination, Symbiont should be your first choice for contact. We will work with you to identify the properties, consider political obstacles, and check requirements and site characteristics to assess the infrastructure and site for brownfield redevelopment potential. 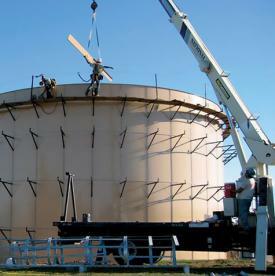 Symbiont has been providing design-build and construction services for 30 years. It was formed as a solution for clients who wanted to assign single source responsibility and accountability for the comprehensive scope of capital improvement projects. Symbiont Construction Division (formerly T.V. 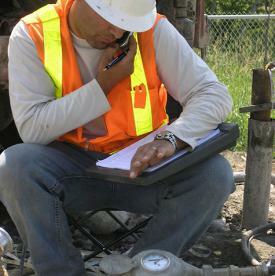 John & Son, Inc.) provides a broad range of innovative solutions to meet our clients’ needs. We offer our clients flexibility in project delivery – our services range from serving as our clients’ trusted advisor in an Owner’s representative role to a complete design-build-own-operate. The Hoover Dam is one of the tallest concrete dams ever built, and it created one of the largest man-made lakes in the United States. At 726.4 feet tall, it took 200 engineers from several consulting firms and the Bureau of Reclamation to design the dam. There are enough roads in the U.S. to stretch from the Earth to the moon 8 times. U.S. Presidents had engineering backgrounds. U.S. Presidents Herbert Hoover and Jimmy Carter had engineering backgrounds. Ellen Swallow Richards (1842-1911) was an American female civil engineer. She was the first woman who was admitted to a school of science and technology and the first woman to receive a degree in chemistry. 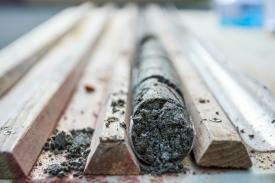 It is estimated that there are 500,000 to 1 million brownfields nationwide. This number is difficult to confirm, and there is reason to believe that the number is higher. HVAC systems account for 40-60% of total energy use in the commercial sector. If a ring is found in a sewer, it is turned into the police and held for a mandatory waiting period. If it isn't claimed within that period, then the finder is given the ring. Rings valued at well over $70,000 have been found in sanitary sewers and never reclaimed. In 1914, U.S. government agencies began pollution surveys of streams and harbors. 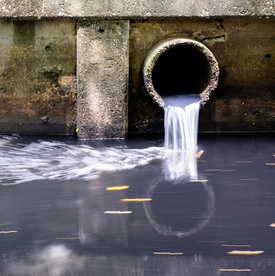 In 1972, Congress passed the Federal Water Pollution Control Act (the Clean Water Act). The word engineer comes from a Latin word meaning 'cleverness'. Symbiont has worked on the world's largest mozzarella cheese plant as well as hundreds of breweries across America. 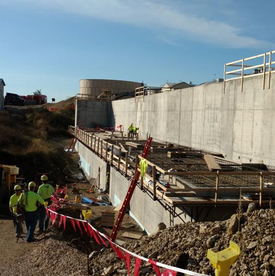 Our engineers and constructors have brought over 75 landfill gas-to-energy and biogas systems to life, providing clean energy in over 31 states. We’ve installed biogas systems which upgraded a total of over 17,000 scfm of biogas that our clients have sold as renewable natural gas (RNG) to local utilities, powering homes and businesses. 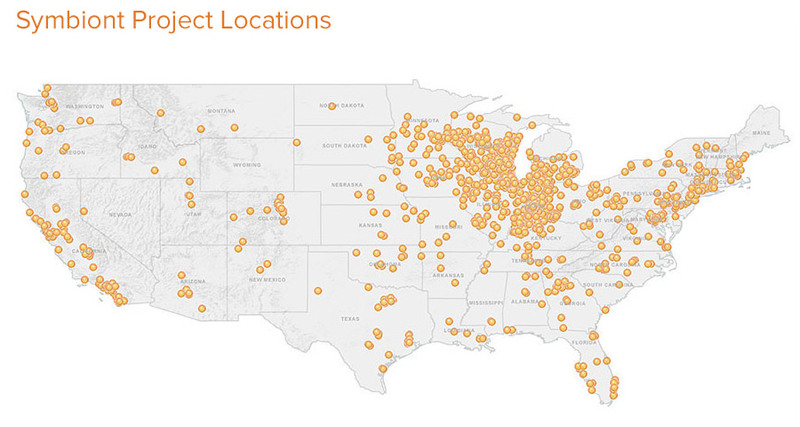 We have worked on over 350 projects at breweries across the United States and the Dominican Republic.